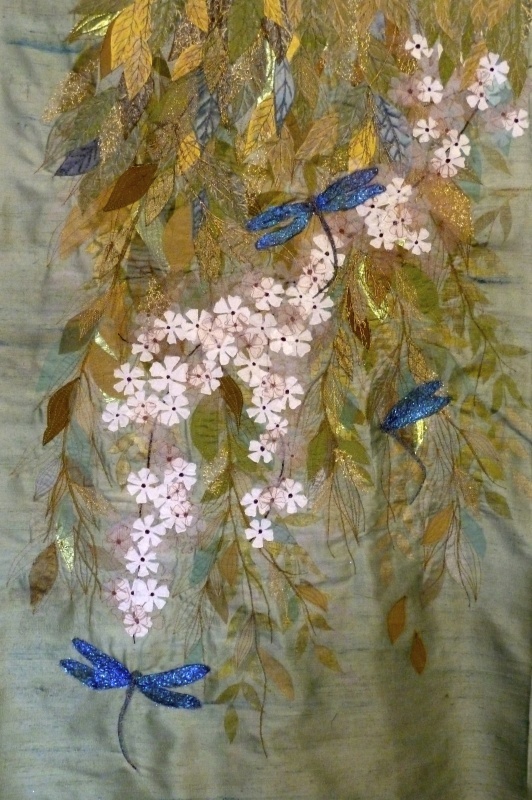 Mary McIntosh is a Textile Artist and tutor living on the Suffolk/Essex border. 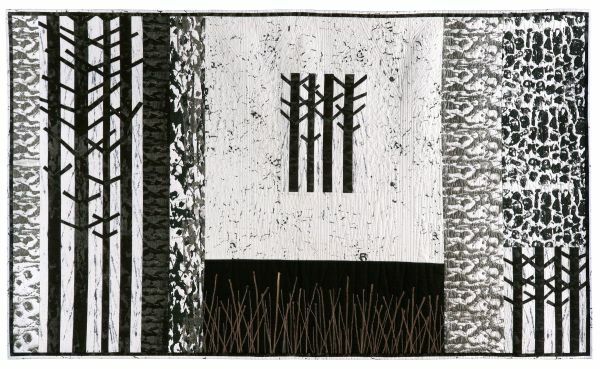 Mary completed City & Guilds Diploma in 2011 and her work was selected that year for the Further Education Gallery at the Festival of Quilts. 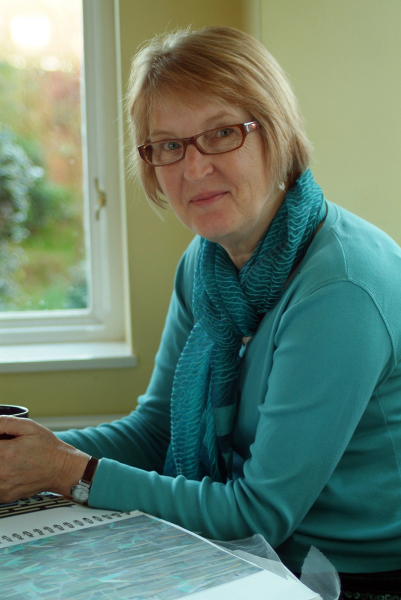 Since then Mary has had several pieces of work selected for national exhibitions and now teaches widely around the Eastern region and the UK. 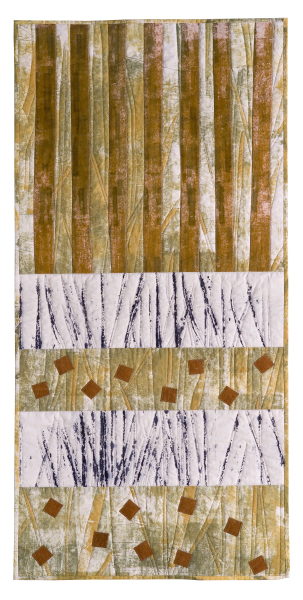 Mary is a member of the Quilters Guild, CQ, Embroiderers Guild and Out of the Fold Textile group. 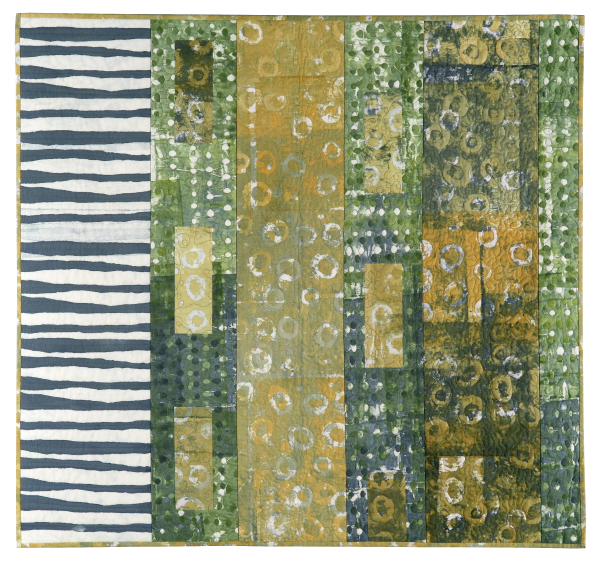 Annette is inspired by the world around her, at present the environs of the Brecklands, an area in Norfolk and Suffolk characterised by dry sandy soils, meres, flint and woodlands. 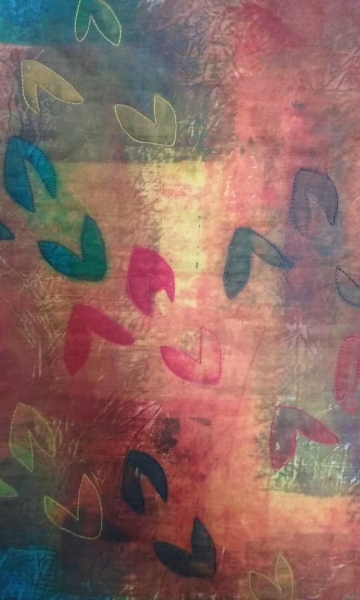 She likes to experiment with colouring her own fabrics, using paint, dye and screen printing, developing her own palette as she goes. 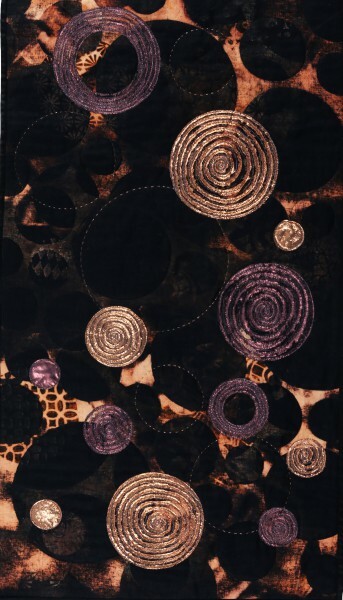 Annette often works in an abstract way, but also uses photographs which are transferred onto fabric. 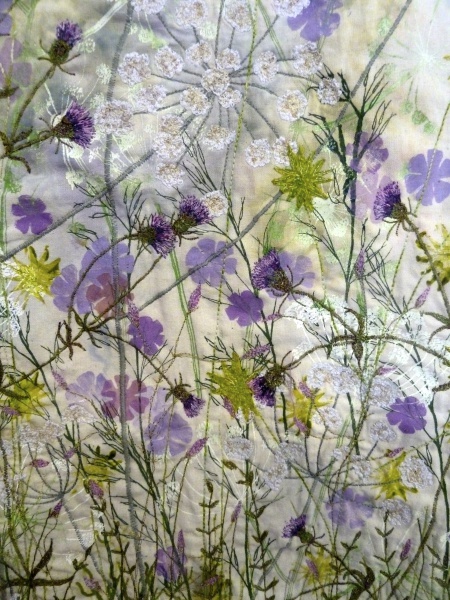 An award winning textile artist, Annette teaches widely including City and Guilds courses to Diploma Level. 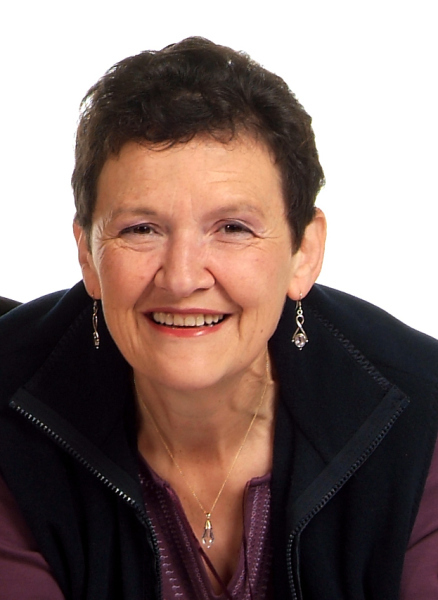 She has written three books and is an ex-President of the Quilters Guild of the British Isles. Cynthia Thomson lives in Lowestoft, the most easterly point in the British Isles. 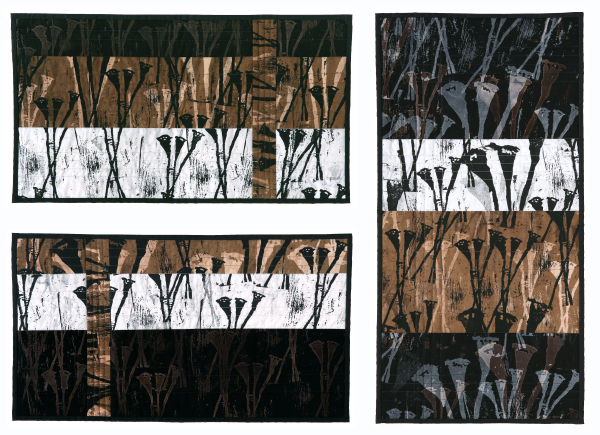 After retiring from the Civil Service she began stitching and working with textiles. 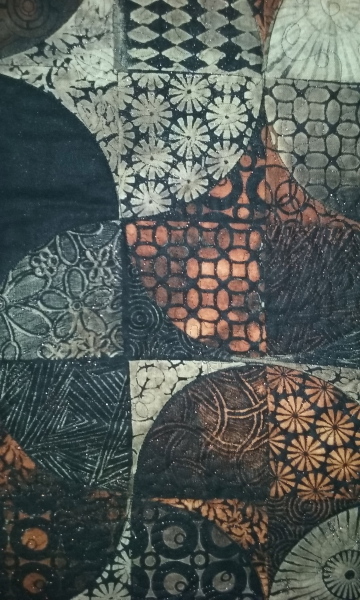 She completed City & Guilds qualifications in Patchwork & Quilting and Machine Embroidery. 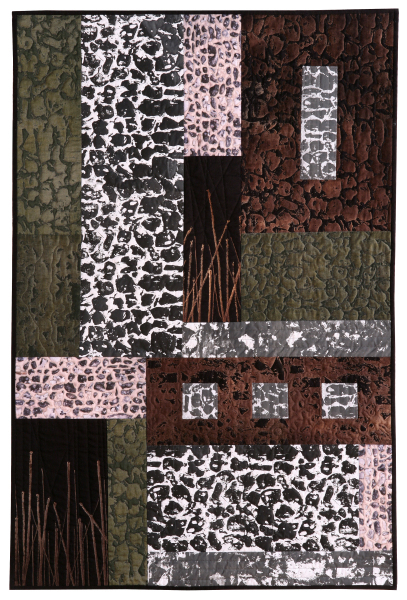 Inspiration for her work is based on the area around her home, both countryside and seaside. Her favourite techniques include intricate machine embroidery, and stitching and constructing detailed 3 dimensional textile items. 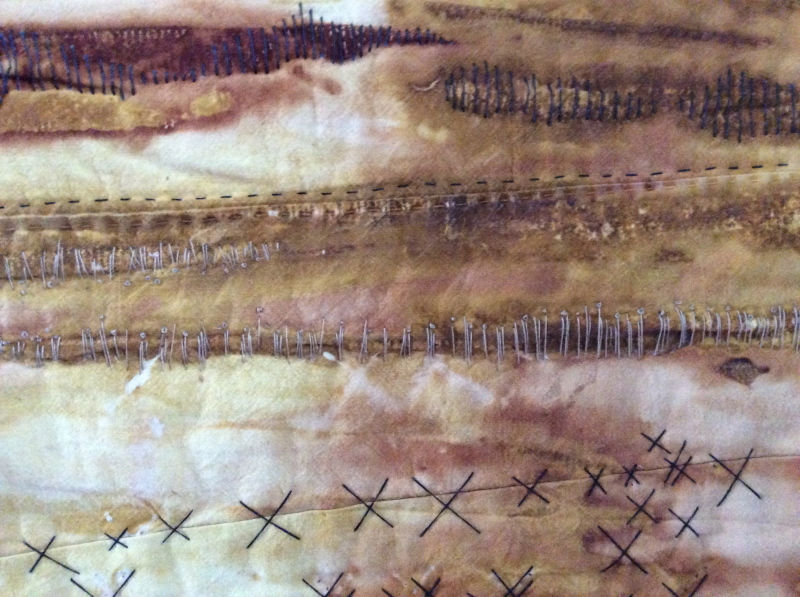 I am a Textile Artist exhibiting both in this country and Internationally. My work is contemporary and individual and reflects the organic diversity of my surroundings – each piece being a “one-off”. On a visit to York Cathedral, the excavations exposing all the layers of which that great city is built fascinated me. When looked at closely, everything would appear to be constructed in this way; trees, clouds, plants etc. I like to respond to this, when creating each new piece. 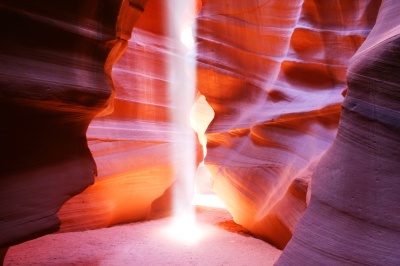 For me, each piece of work I produce should have an element of experimentation, allowing it to develop and surprise.